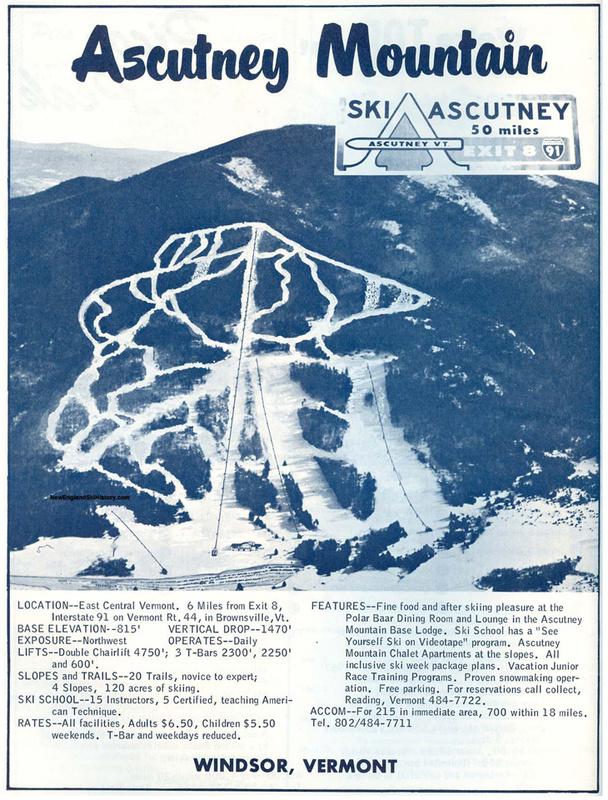 In 2010, after more than six decades in operation, central Vermont’s Ascutney Mountain Resort stopped spinning its lifts. The existing infrastructure was left to rot and rust, the trails have grown into a mangled mess of brush, and the closure dealt a serious blow to the area’s economy. Now, a group of impassioned townspeople, skiers and mountain bikers are working to buy back and revitalize their ski hill. And backcountry skiing and riding is part of their plan. On a cold February morning in West Windsor, Vt., the scene at the base of Ascutney Mountain Resort is particularly chilling. For nearly five years, the lifts haven’t spun and the trails have grown into a mangled mess of maple, poplar and birch seedlings. But most eerie is the sight of the base lodge, once the busy hub of this central Vermont ski area. Before dawn on a subzero morning about a month earlier, a fire ripped through the abandoned building, burning the grafittied, light blue walls and sinking the roof into a charred heap of wood, ash and snow. The depressing scene can’t diminish the drive of a few spirited skiers, however. Jim Lyall, Kate Wanner and Erik Schutz are sticking skins to their skis in an empty parking lot nearby. Their plan for today includes skinning the shuttered ski hill and dropping into the nearby backcountry, but they have a much greater goal. 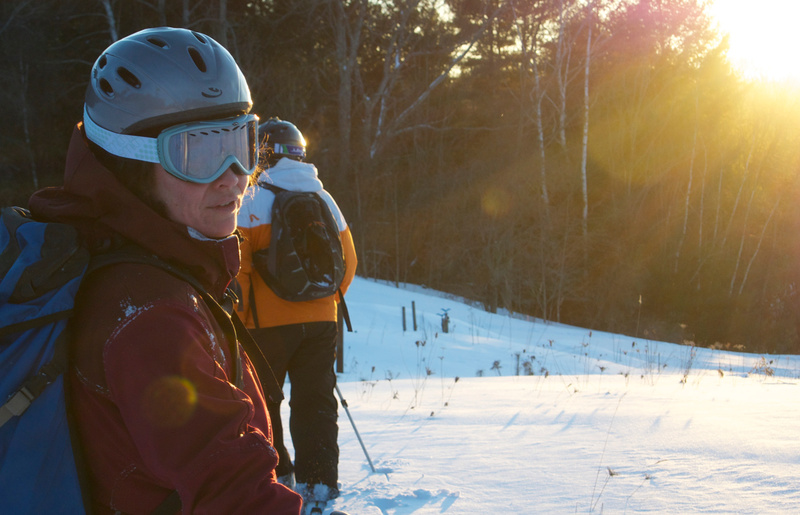 They’re working to purchase and conserve the land on which Ascutney Mountain Resort once operated and, together with local nonprofits and the townspeople of West Windsor, reopen Ascutney as a community ski hill with hike-to terrain and summertime mountain bike trails. And after five years, this hurting ski town needs its hill back. Jim Lyall is the reason Kate, Erik and I are here today. He organized today’s tour, but he’s also a driver behind the town’s anticipated purchase, conservation and management of the land. As we glide up a well-packed skintrack, Lyall tells me about the mountain bike trails he’s built in the area, including much of the last half of the Vermont 50, a popular 50-mile mountain bike race that begins and ends at Ascutney. The Vermont Mountain Bike Festival is here annually, too. In 2005, along with Schutz, Lyall cofounded Sports Trails of the Ascutney Basin (STAB), a nonprofit that maintains 35 miles of mountain bike and recreation trails on the ski hill and throughout the valley. 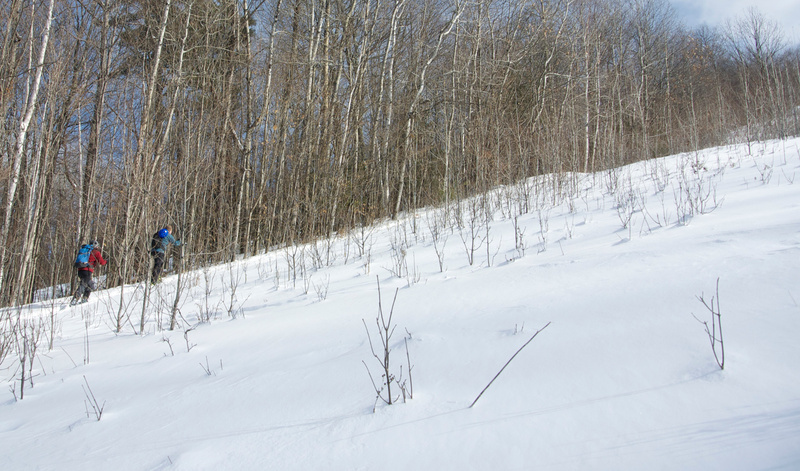 Lyall’s connections to Ascutney, however, go back to the mid ’70s, a four-decade span that represents the ski area’s rockiest history. 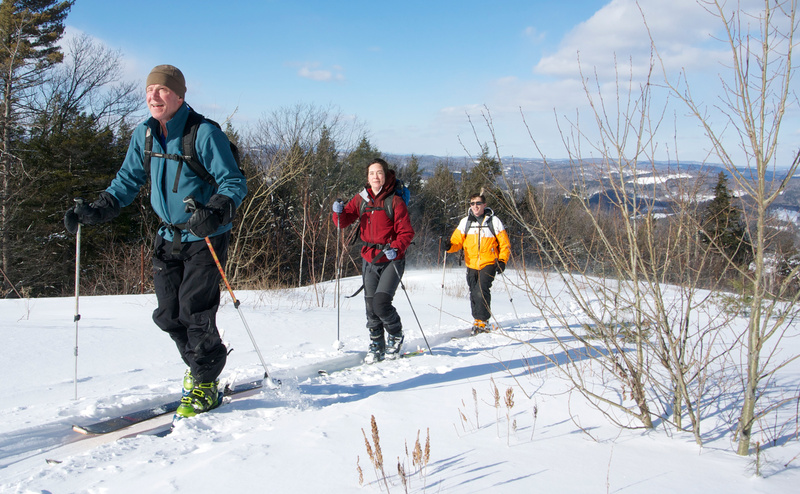 Ascutney Mountain Resort’s existence has the ups and downs of a mountainous ridgeline, quite unlike the profile of the singular, broad monadnock on which the embroiled ski area operated for more than six decades. In the winter of 1935/36, the Civilian Conservation Corps and Windsor Outing Club carved the Mt. Ascutney Trail down the 3,130-foot peak’s northeast slope. 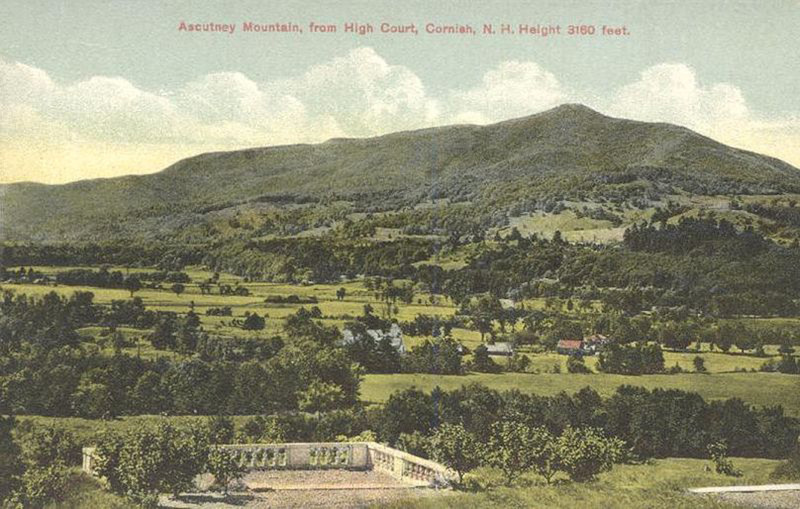 Ascutney Slopes’ first two rope tows were erected in 1946, and, according to NewEnglandSkiHistory.com, the area drew a crowd of 800 during that year’s Christmas holiday week. The ski area then went bankrupt—for the first time—in 1949 before four decades of expansion and ownership changes—five total—until 1990, when the owners, Summit Ventures, Inc. were unable to operate the resort for two seasons while under bankrupcy protection. The most recent owners, the Plausteiner family, reopened the resort in December 1993 after purchasing the property at auction for $1.1 million. But by 2008, the Plausteiners’ coffers were empty, and they sold their shares to MFW Associates in order to liquidate the area to cover nearly $2 million in debt, including $25,000 owed to the town. The resort closed indefinitely in the summer of 2010. But a special town meeting held at Brownsville’s Story Memorial Hall last October gave West Windsor residents reason to be optimistic. By a vote of 254 to 79, voters approved the town’s purchase of 470 acres of the former Ascutney Mountain Resort from MFW for $640,000. 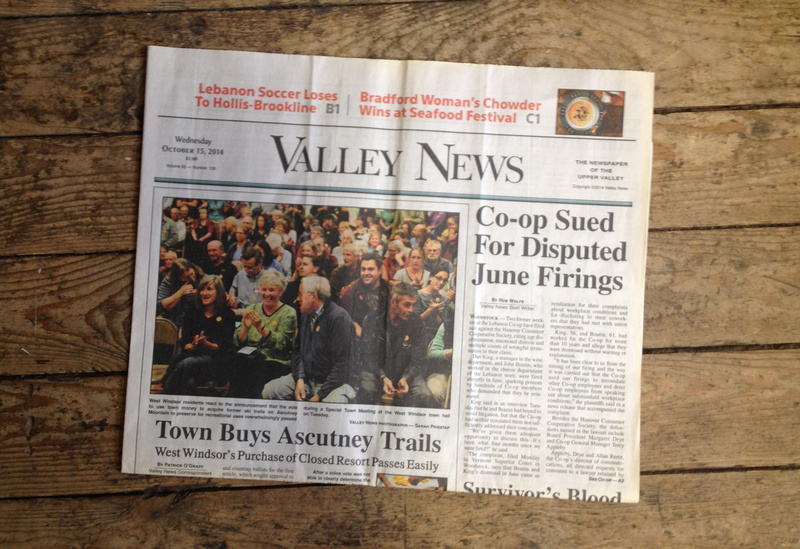 Following the vote, the headline “Town Buys Ascutney Trails” ran above the fold in the Valley News, and the photo captures the hall packed with townspeople smiling and applauding. One woman even appears to be crying. The Valley News from Wednesday, October 15, 2014. Wanner works in Montpelier as a project manager with the Trust for Public Land (TPL), a national nonprofit that specializes in conserving and protecting land. Over the past four decades, TPL has conserved some 3.3-million acres nationwide and more than 54,000 acres of forestland across Vermont. Wanner began working with the town of West Windsor in November 2013 in order to secure the existing trail network and former resort property, and, the following the October 2014 vote, TPL secured the property under contract in January of this year. For her part, Wanner thinks that acquiring large, public grants—from sources like the federal Community Forest Program and the Vermont Housing and Conservation Board—as well as several private grants, shouldn’t be difficult given the level of support for the project and Ascutney’s unique ecologic value. “Ascutney itself is really a biodiversity hotspot due to its significance as a monadnock, its steepness and its place in Vermont,” Wanner says, mentioning significant natural communities and old-growth forests that provide habitat to bobcat, bear and moose. We break back for the main trail, which sprawls the width of a football field and pitches downward at a consistent, 35-degree angle. The snowy ridgeline of Mt. Washington, New Hampshire’s tallest peak, rises far to the northeast. “This would be the big slope I’d want to keep open,” Jim says. He’s referring to the management plan being developed by TPL and the Upper Valley Land Trust, which will allow certain trails to be cleared and maintained for skiing while others regenerate. 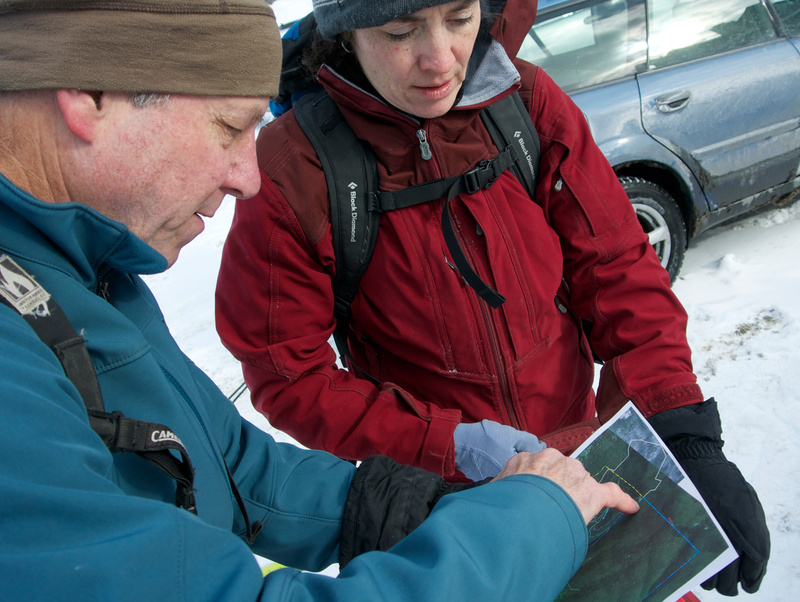 “The plan is to divide the old ski area into two thirds and one third. 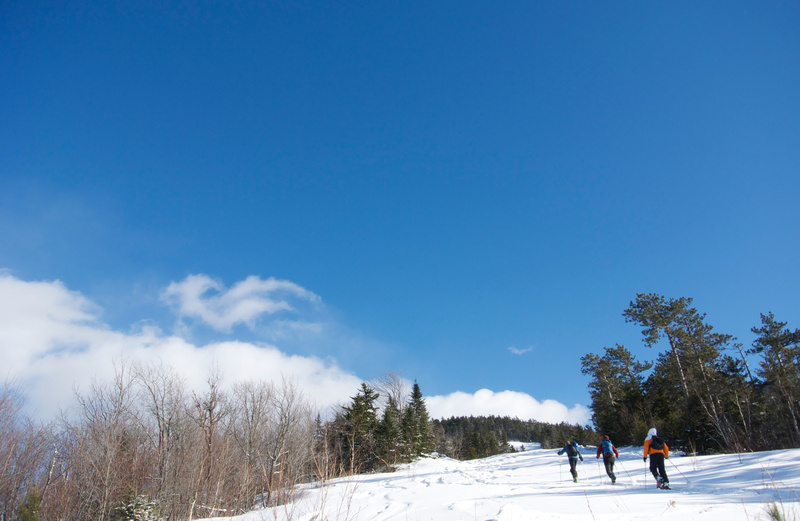 The lower area will be kept open for a community ski area.” And the upper third will be hike-to terrain with trails, glades and access to the surrounding and plentiful backcountry. The ski-area land will be added to the West Windsor Town Forest and protected by an easement held by Vermont Housing and Conservation Board and the Upper Valley Land Trust. And STAB, or some to-be-formed nonprofit, would spearhead managing and maintaining the trails. But first TPL needs to raise the funds by July 1. And while the former resort land costs $640,000, the total project cost—including legal work, surveying, stewardship and management endowments and more—tops $905,000. Kate’s optimistic, however, that they’ll be able to raise the funds. “So many people are psyched on this project,” she mentions when we keep skinning. Afterword: West Windsor held a special town meeting in early May to fill the select-board seat of Glenn Seward, a strong proponent of Ascutney’s revitalization who, according to the Valley News, resigned following insinuations that he might benefit personally from the project. Ted Siegler, Chairman of the Conservation Commission and a skier and mountain biker, will fill his seat. 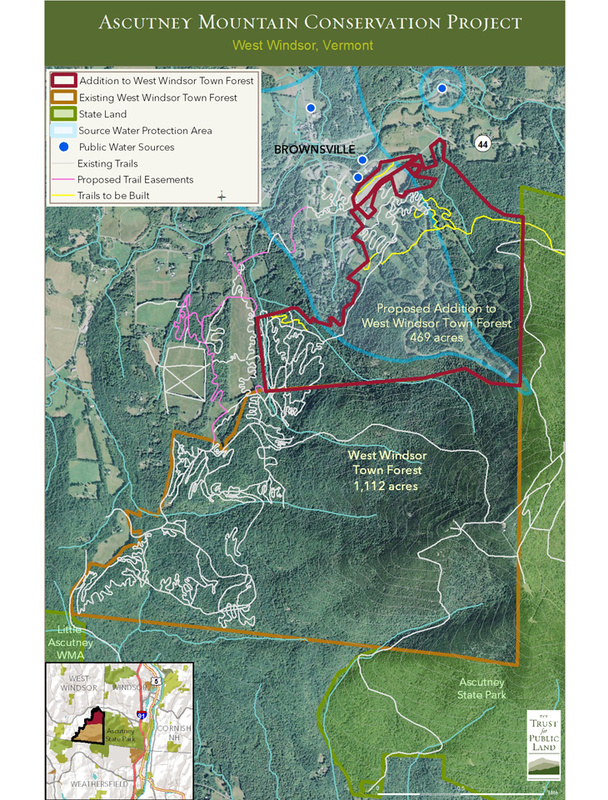 As of early May, the Vermont Housing and Conservation Board granted this project $300,000 and the Trust for Public Land secured a grant of $216,000 from the Open Space Institute to split between Ascutney Mountain and a community forest in Milan, New Hampshire. Several other grants, including a $340,000 request from the federal Community Forest Program, are still pending. On May 13, the Trust for Public Land launched “The Campaign to Protect Ascutney Mountain,” to raise $135,000 in public donations.